Greece ranks among the top travel destinations of Europe. It combines pleasure and business in the best possible way. Greece is best known for its whitewashed villages, ancient ruins, friendly atmosphere, tasty cuisine and sunny beaches. Greece is made up of hundreds of islands and mountainous mainland, each offering its own share of historic sites, cultural delights and historic sites. It has an amalgamation of Arab, Roman, Minoans Latin and Turkish culture. The Greek cuisines and natural scenery are also among the top tourism offering. Here are the top ten places to visit in Greece. 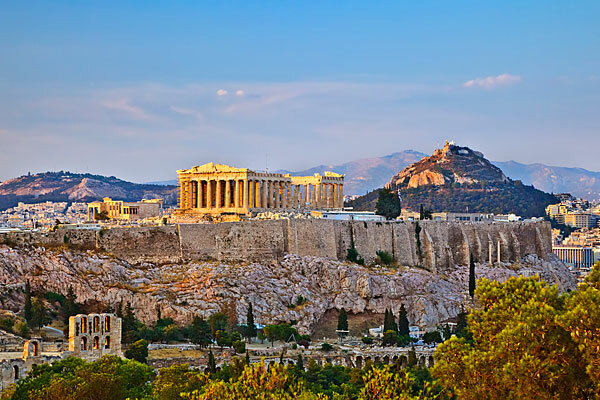 Athens, the capital of Greece, is located on the Acropolis. It is known as the cradle of Western civilization. The city reformed due to the fortunes brought by the 2004 Summer Olympics. It is the home to the monuments and archeological ruins like the Parthenon, Acropolis, the Temple of Olympian Zeus, the Theatre of Dionysus and the Ancient Agora. The two most popular museums of Greece are located in Athens- the New Acropolis Museum and the National Archaeological Museum. Thessaloniki is the second largest city and the cultural capital Greece. 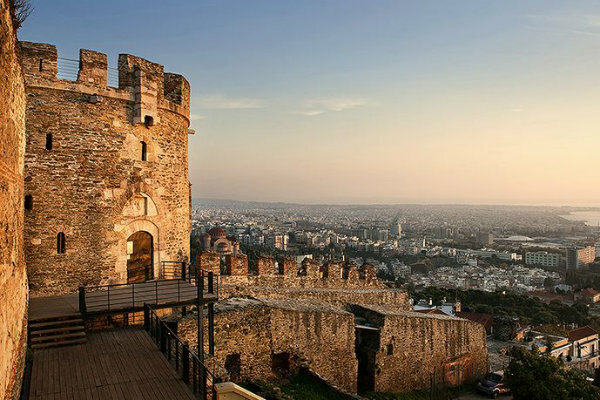 Built near the sea, Thessaloniki is a modern metropolis with a stormy history and cosmopolitan character. It has some of the finest beaches, restaurants and hotels in Greece. Thessaloniki has given the world some of the greatest artists, thinkers and poets. This gives this city a special charm and beauty. It also hosts many cultural events like the International Trade Fair and the Thessaloniki Film Festival. 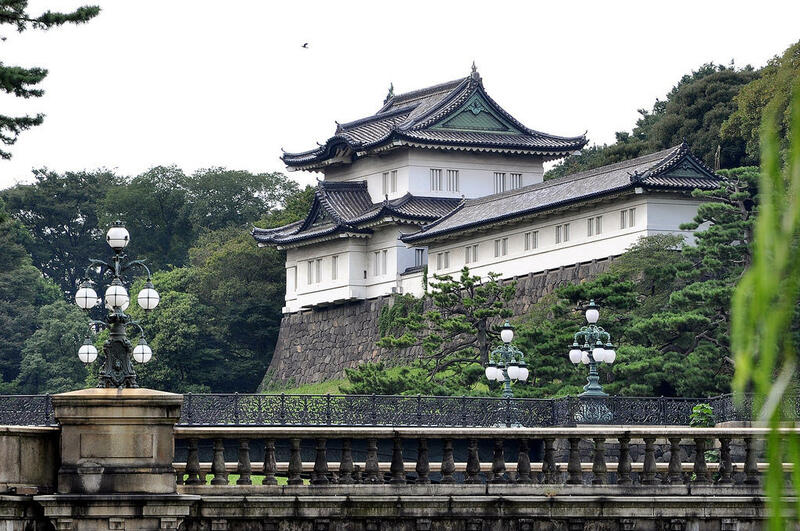 You will also find trendy shops and art galleries galore in this city. When in Thessaloniki, make a visit to Halkidiki. Delphi is a modern town in Greece and the religious heart of the Hellenic world. 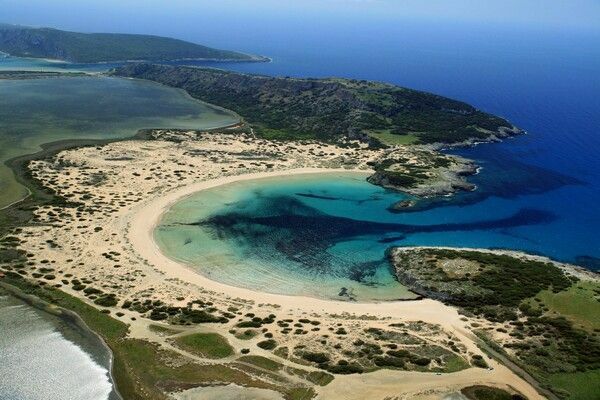 It is the most archeological site in Greece. 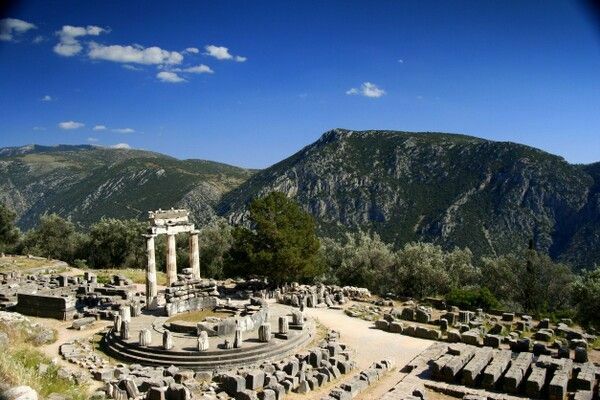 Delphi is believed to have been the home of the oracle of Apollo. It was revered as the center of the earth by the ancient Greeks, the place where heaven and earth met. Delphi Museum and the Sanctuary of Athena are other places worthy of a visit. 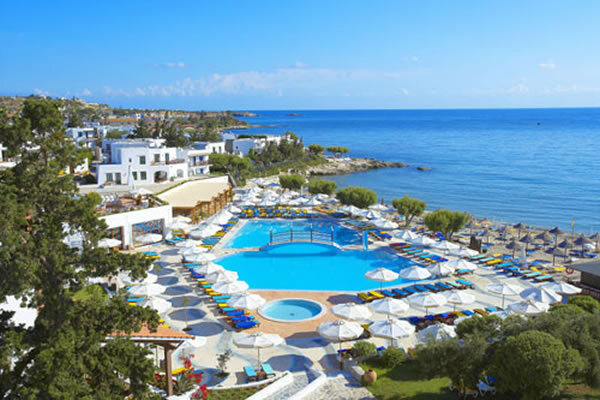 Crete is the largest and the most populous Greek island. It forms a significant part of the cultural and economic heritage of Greece. Crete is a small universe filled with treasures that you will need a lifetime to uncover. Crete is regarded as the center of the Minoan civilization, the earliest recorded civilization in Europe. The landscape in Crete unfolds in an artistic way. In Crete, you can explore the glorious beaches, the impressive mountains and admire the brilliant civilization. The must see attractions of the place are the Palace of Knossos, the Archaeological Museum of Heraklion and the Dhiktaion Cave. If you like adventure, then trek though the Europe’s longest gorge or cycle among the orchids on the Lasithi Plateau. Santorini, a Greek island is one of the most blissful spots for a getaway. 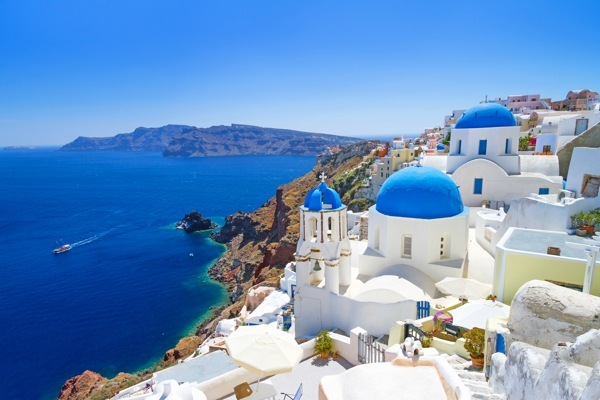 Just the name Santorini conjures up the images of stark white buildings against the bright blue Aegean Sea. Santorini Island is the result of a powerful volcanic eruption. The top historical attraction of Santorini is the town of Akrotiri, a Minaon site that was destroyed in the eruption. 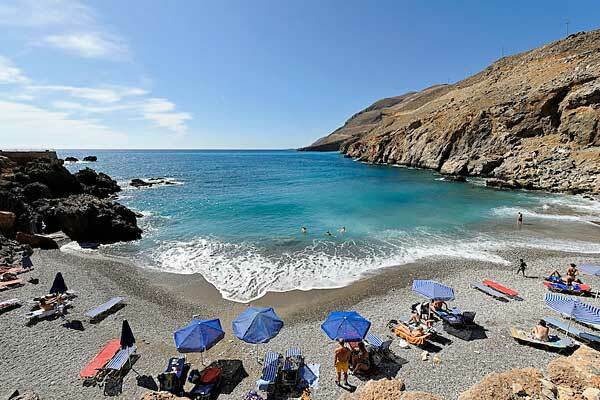 The beaches of Santorini are perfect for scuba diving and snorkeling. The churches and monasteries of Santorini will give you a glimpse of the historical facts that make up this place. You can spend a leisurely afternoon by exploring the cafes and shops of Firi, the capital of Santorini. 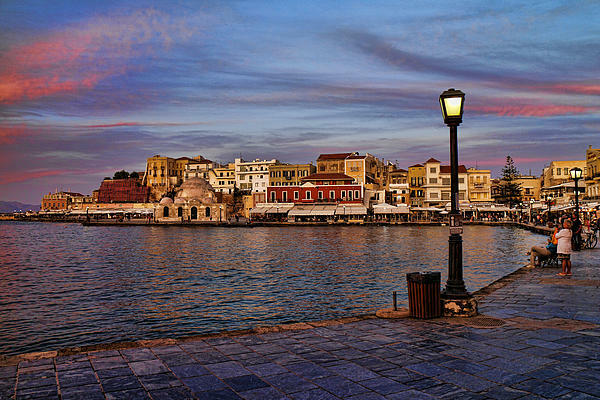 Chania is the second largest town of Crete. The town was built by the Venetians during the 14th century. 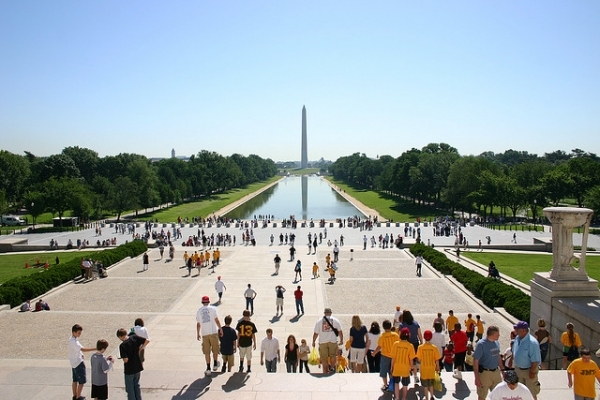 The region is renowned for its impressive White Mountains and the National Park. The National Park occupies the largest area of the region. The place has beautiful Venetian mountains, churches, and fountains that will help discover the historical monuments of the town. Chania is also a paradise for wine and food lovers. Make sure you taste the delicious Cretan cuisine with the Cretan wine. Wine lovers can also visit the vineyards of the Chania Town. You can also visit the villages of Chania- Souda, Kounoupidiana, Mournies and Daratsos. Hersonissos is a town and a municipality in the north of Crete, Greece. It is situated 27 km from the Heraklion port and 25 km from the Heraklion airport. Chersonisos, the Roman port in Hersonissos is a must visit place. This family friendly place offers plenty of activities for the kids. If you want to explore the trade and lifestyle of the early Crete islanders then head to The Lychnostatis Open Air Museum. The museum exhibits olive oil and wine presses and workshops on shoe making, weaving and ceramics. You can also visit the bountiful Naoussa, the area famous for its jam, wine and its annual international film festival. You can also indulge in meditation at the yoga center in Hersonissos. Oia is a small town on the islands of Santorini in Greece. This town is carved out of cliffs. Pure white buildings with colorful roofs are found in plenty in Oia. 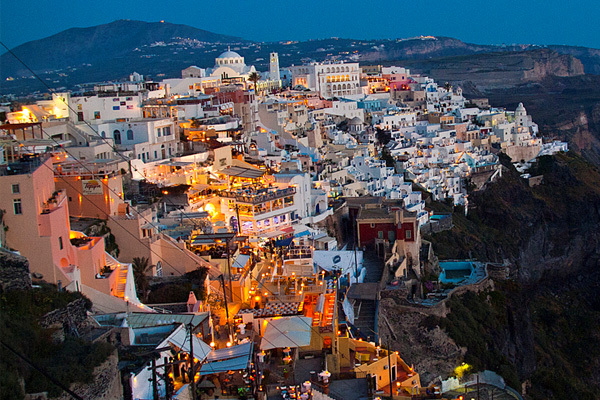 In Oia, you will get to see houses built for the Venetian sea captains and the cave houses of the villagers. Peloponnese is a peninsula in southern Greece connected to the mainland by the Rio-Antirrio Bridge. It is separated by the Gulf of Corinth from the central part of the country. It was known as the Morea during the middle ages because of its resemblance to the mulberry leaf. It was in Peloponnese that the Greek War of Independence began. The place boasts of historical sites like Venetian fortresses, Byzantine churches, Mycenaean palaces and classical Greek temples. The lofty mountains, valleys of citrus groves, vineyards and sun-speckled beaches will truly mesmerize you. Peloponnese also offers the best of the Greek cuisine. Rhodes is the capital of the Dodecanese islands in Greece. It is one of the most preserved medieval towns in Europe. 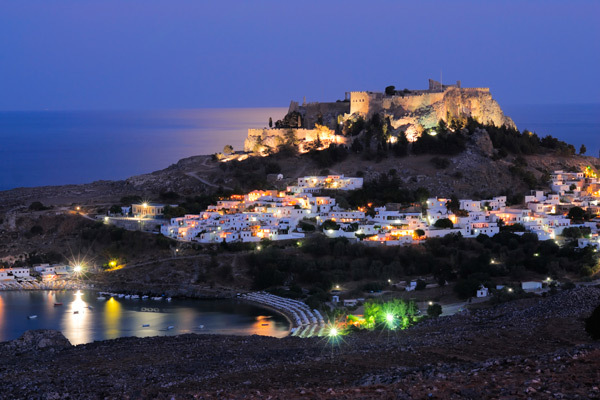 Rhodes has a blend of cosmopolitan and traditional culture. This place is ideal for both who want to relax and those who are looking for an action packed holiday. Rhodes has always been famous as the site of the Colossus of Rhodes, one of the Seven Wonders of the World. This blessed place has beautiful bright green hills, golden beaches and rich green valleys. There are also numerous cultural and archeological sites.